So, you have found your property project and it’s going to auction. Now you need to spend some time looking through the details in the catalogue and online. Some people go to auctions without any prior research, but I don’t recommend this, as it’s a real gamble. Have a look through the catalogue and see if there are any others you are interested in from the same auction. After you have picked out the properties you are interested in, contact the auctioneers or estate agent involved and arrange your viewings. If you can, ask them for some more details about the property e.g. current condition, neighbourhood etc and how much interest has been shown in the property so far. If the property is in need of a decent amount of work and you have limited experience, take a builder or an architect with you to find out what can be done to the property, and how much it is likely to cost. Tip: It is worth looking out for properties that are being auctioned second time round because you can find out what the reserve was the first time. Now research, research, research. Compare the price and condition of the property to those for sale with local estate agents. You should also view recent sold prices online. They allow you to view properties for sale and sold in a specific area and with your chosen criteria. 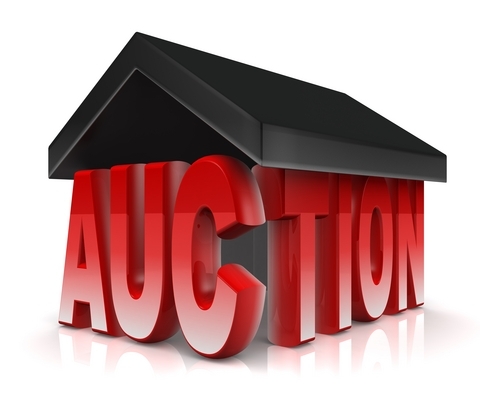 The guide price of auction properties is set relatively low in order to attract bidders, so it is important that you are aware of the true market value of the property, so that you don’t get carried away in bidding. Another factor to consider is the demographic in the area surrounding the property you are researching. Use a website like www.checkmyarea.com or www.upmystreet.co.uk. This way you can see what is available in that postcode and whether there are any problems you should know about. Once you have carried out your initial research, you may want to continue with the next stage of property evaluation. There will usually be a legal pack that goes along with your property, which you can request from the auctioneer (sometimes there is a charge for this). It is essential that you read this thoroughly because it could contain legalities and covenants that could have potential implications on the value of the property. I suggest that you also get a copy of the title register and title plan for the property. If this is not in the legal pack it can be obtained online from the Land Registry at www.landregistry.gov.uk for a small fee. This usually shows the price paid for the property, any restrictions or covenants on the property, and the specific boundaries of the property. You may decide to get your solicitor or conveyancing agent involved to provide advice on the legal pack, perhaps even perform checks and searches upon the property as well. You should now use all of your research to decide what the highest bid is that you are prepared to pay for the property at auction. But don’t forget to make sure these funds are available before the day of the auction, and check with the auction house how they take deposits on the day, or consider making a pre-auction bid by contacting the auction house. For more information on how we can help you on your property investment journey, or to book a free coaching call to discuss any areas you need help with, visit www.thepropertymentor.com or call 01244 760213. Previous Post Code for Sustainable Homes and Building Regulation requirements.